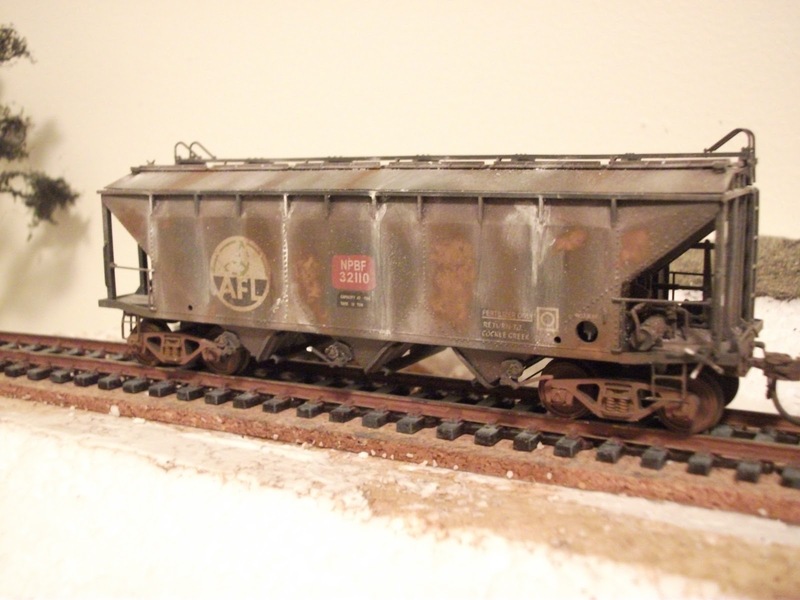 The Musings of a NSW modeler...: DIRTY FERTI! Its been a little while since the last post. 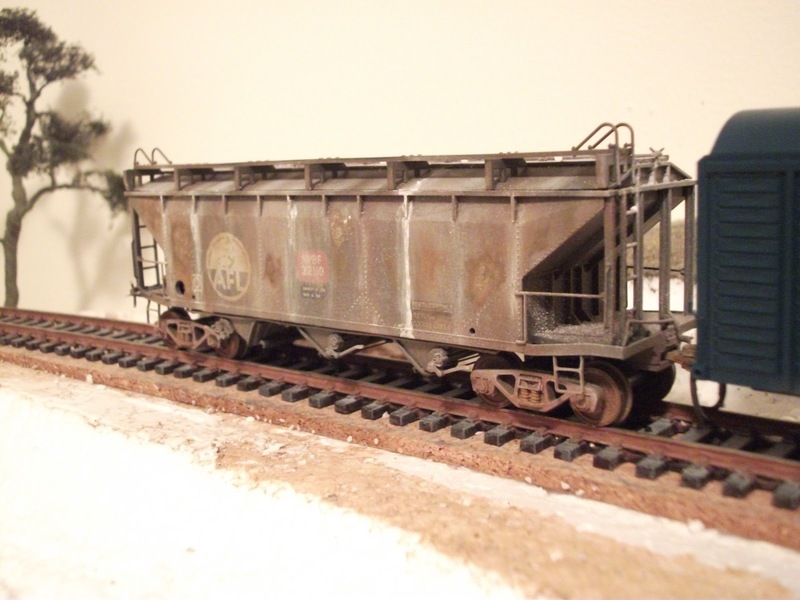 After delving into the old man's N scale gear for a bit I have made a return to my own HO scale stuff. 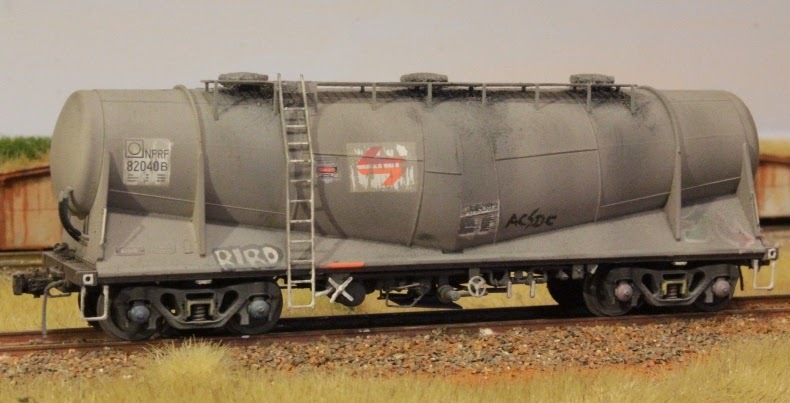 After a visit to the local Model Railway Club yesterday I was inspired to get the airbrush and powders out again to do some more weathering for myself this time. 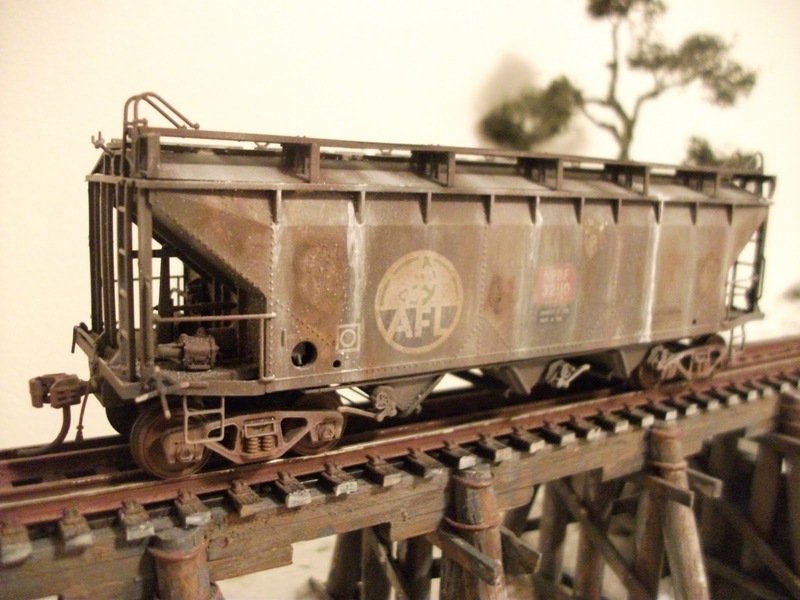 On the workbench last night was a TrainOrama NPBF Hopper, after going though some file photo's of the late 80's early 90's this is what I produced. Hope you like it! It's good not to see any of the original colours, not overdone, Perfect!